Sea ferries are integral to the transport network linking the hundreds of islands which make up the Philippines. Millions of Filipinos use the ferries throughout the year; with air travel beyond the means of most it would be hard to imagine life there without them. 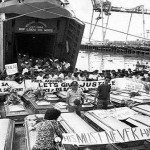 A few days before Christmas 1987 the MV Dona Paz, a Japanese-built ferry rim by Sulpicio Lines, a Filipino ferry operator, set sail from the regional city of Tacloban on Leyte Island, bound for the capital, Manila. It was an overnight journey and most of the passengers were asleep when late in the evening the Dona Paz collided with the oil tanker Vector as it was passing through the Tablas Strait, a busy shipping lane separating the two major islands of Mindoro and Panay. A mid-sea collision in deep, shark-infested waters was bad enough, but what made this particular impact far worse was the cargo which the Vector was transporting: more than 8,000 barrels of gasoline. The deadly freight exploded and the resulting blaze spread rapidly through the passenger ship. The Dona Paz was grossly overcrowded, a far from uncommon occurrence in the region; many illegal tickets were sold on board at the last minute so precise passenger numbers will never be known, but there could well have been at least three times the vessel’s authorized capacity of 1,500. Safety procedures were seriously deficient and would in any case have been of little use in such packed and chaotic conditions (it was claimed afterwards that the life-jacket cupboards had been locked). In an attempt to escape the inferno thousands leapt into the sea and drowned. Both vessels sank within hours. What was the Doha Paz Ferry Collision death toll: The official death toll was given as 1,749. It is generally agreed, however, that over 4,300 people died in the tragedy, making it the world’s worst peacetime maritime disaster. You should know: It has never been established who was to blame for the collision. While there may have been only one junior crew member on the Dona Paz’s bridge at the time, it was also found that the vector had been operating with a license that had expired. As recently as July 2008 the oil company which had chartered the tanker was cleared by a Philippines court of any liability. When the Townsend Thoresen car ferry Herald of Free Enterprise left the Belgian port of Zeebrugge on the evening of March 6 1987 she was carrying some 650 passengers and their vehicles. Conditions at sea were calm so they settled down to what should have been a smooth passage across the English Channel to Dover. 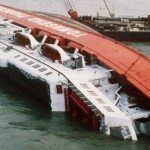 The ferry was barely 100 m (330 ft) out, however, when observers on shore watched in horror as the large vessel began to capsize; within two minutes it had rolled over and come to rest on its port side in the shallow water. Rescue services were quick to the scene and took over 400 people off the ship; but the sheer speed of events meant that many passengers had no chance of escape and perished in the freezing waters. The Herald ended up on a sandbank; had she gone over in deeper water, the death toll would undoubtedly have been higher. It seemed unlikely to most onlookers that a simple accident could have caused the catastrophe. The Herald of Free Enterprise was a ‘ro-ro’ (roll-on roll-off) type ferry and it soon became clear that the bow doors had been left open when the ferry sailed; water had instantly flooded the car decks, destabilizing the ship and causing her to keel over. P&O, the company which now owned Townsend Thoresen, were heavily criticized in the public inquiry that followed; its report highlighted a ‘disease of sloppiness’ at all levels of the organization. The coroner’s inquest held in Dover returned a verdict of unlawful killing, which led to P&O being charged with corporate manslaughter as well as seven employees facing individual manslaughter charges. Although the 1989 court case collapsed, it set an important precedent for corporate manslaughter being admissible in a British court of law. You should know: New safety measures and regulations were introduced on all British ships as a consequence of the disaster; these included cameras being fitted to a ship’s bow so the bridge can verify that doors have been closed before sailing. A routine domestic flight from Tokyo to Osaka ended in the world’s worst accident involving a single aircraft when a Japan Airlines Boeing 747 crashed into a ridge near Mount Osutaka in the Japanese Alps. Flight 123 took off from Tokyo’s Haneda airport shortly after 18.00 on August 12 1985 for the 50-minute scheduled flight to Osaka. On board were 509 passengers, mostly holidaymakers, and 15 crew. Barely ten minutes into the flight the pilot reported a problem with the rear of the plane; he intended to turn back and make an emergency landing. Moments later, however, he radioed that he was no longer in control of the aircraft. The final message received at air traffic control said that the plane was lost. With the steering disabled, the aircraft veered off course and headed inland towards the mountains of central Japan. When rescue and salvage teams got to the scene of the crash, they found debris scattered over a wide area of the remote mountainside. The desperate search for survivors was to little avail; only four people emerged from the tragedy alive. The accident happened just two months after another Boeing jet had crashed into the sea off southern Ireland with the loss of all hands, so there was intense pressure on the company to identify the cause of the Japanese crash and guarantee the safety of its fleet. The cause was eventually found to have been a faulty repair seven years previously to the aircraft’s rear pressure bulkhead, which had been damaged in a tailstrike incident during a landing. A single row of rivets had been used instead of the regulation double row; this caused the failure of the bulkhead, vital for maintaining cabin pressure. The resulting decompression ruptured the plane’s hydraulics, thereby disabling its steering system. You should know: The well-known Japanese violin virtuoso Diana Yukawa lost her father in the crash. She never knew him as she was born three weeks after his death, but in 2009 on the 24th anniversary of the disaster she played her Guarneri violin at the accident scene. One of the positive legacies bequeathed to India by the Raj (as the British rule there was known) was the network of railways which extended into every comer of the vast sub-continent. On June 6 1981 a typically crowded passenger train was travelling through the northeast Indian state of Bihar, some 400 km (250 mi) from Calcutta. Around 1,000 passengers had squeezed into the train’s nine coaches. As the train was crossing the Baghmati River outside the town of Mansi, the rear seven coaches came off the rails and plunged into the water below. It was the beginning of the monsoon season in India, so not only was the river swollen to well above its normal levels but the railway tracks were also wet and slippery. Hundreds of people were swept away and drowned in the swirling, muddy waters. It took the rescue services hours to arrive at the scene of the accident, and their work was hampered by the treacherous conditions of the monsoon rains. It is unlikely, however, that there were many people who could have been saved. The reason for one of India’s worst rail accidents is still disputed. Some sources maintain that it was caused by the atrocious weather conditions and that the train was struck either by a cyclone or a flash flood. However, a persistent story has it that the driver, a devout Hindu, braked hard on seeing a cow ahead about to cross the tracks. Cows are sacred animals in the Hindu religion and the driver would not have wanted to harm it. When the brakes were applied, the wheels failed to grip on the wet rails and so the carriages came off the tracks. 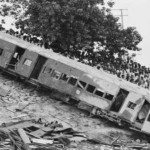 What was the Bihar Train Accident death toll: The official death toll was given as 268, but over 300 passengers were never accounted for. Some estimates put the fatalities as high as 800. You should know: Predominantly agricultural but with a growing service sector, Bihar remains one of the poorest and most heavily populated states in India. The Liverpool-registered merchant ship MV Derbyshire was a state-of-the-art bulk carrier when she was launched in 1976. The length of three football pitches and as wide as a six-lane motorway, the Derbyshire had been built with the capability to convey both liquid and solid cargoes. 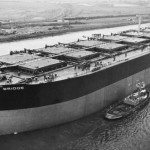 When she set sail from the west coast of Canada on July 11 1980 she was carrying over 150,000 tons of iron ore and was bound for Japan. Early September found her in the East China Sea making her way towards her final destination. It was the height of the storm season and the Derbyshire had the misfortune to run into typhoon Orchid. The last radio transmission from the ship was received on September 9; it reported a heavy tropical storm. Some time on that or the following day the giant ship sank without trace and with all hands on board. The area was searched for a week afterwards but nothing was found and the ship was declared lost. There matters might have rested, and the loss of the Derbyshire would have been regarded as an unexplained and terrible maritime accident, had it not been for the tenacity of the families of the crewmen. It was seven years before the British government finally agreed to hold a formal inquiry into the incident, but the families rejected its conclusion as a whitewash. It was not until 1994 that an intensive search operation was finally mounted; remarkably, the wreck was located within 24 hours, even though it lay over 4 km (2.5 mi) down on the seabed. The formal inquiry was reopened in April 2000. The conclusion this time was that the vessel’s buoyancy had been compromised and that the cargo hold covers had simply collapsed beneath the sheer weight of the mountainous seas. What was the Sinking of the Derbyshire death toll: All 44 people on board died: 42 crewmen and two wives. You should know: The MV Derbyshire is the largest British merchant ship ever to have been lost at sea. 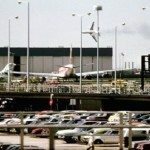 The worst airline disaster on American soil took place in May 1979 at Chicago’s O’Hare International Airport. American Airlines Flight 191 was a three-engined McDonnell Douglas DC-10 jet bound for Los Angeles, taking off at around 15:05 with over 270 people aboard. The weather was clear and a brisk northeasterly breeze was blowing. As the airliner hurtled down the runway everything seemed normal – until a horrified air traffic controller saw the left-hand engine separate, flip back over the wing and crash to the runway. The experienced pilots – Captain Walter Lux and First Officer James Dillard – knew it was too late to abort the take-off but immediately attempted the correct procedure for climbing on two engines. But the departing power plant had severed hydraulic lines that controlled leading-edge slats designed to lower a wing’s stall speed, ripped a section from the front of the wing and disabled instruments that would have informed Lux of the precise situation. Hydraulic fluid drained away, wing slats retracted and the unbalanced DC-10 cartwheeled to the left and slammed into a hangar on the old Ravenswood Airport site after being aloft for just 31 seconds. The impact and fire killed all aboard the plane and two workers on the ground, and showered a nearby trailer park with burning debris. The engine separation that caused the crash was a result of poor maintenance by American Airlines, whose team had damaged the mounting pylon during an engine change two months earlier. But there had been an earlier fatal accident involving a Turkish Airlines DC-10 in Paris and two more DC-10 crashes followed swiftly – Western Airlines Flight 2605 in Mexico City and Air New Zealand Flight 901 in Antarctica. With over 650 lives lost, all DC-10s were grounded until minor design faults were rectified and maintenance procedures tightened up. 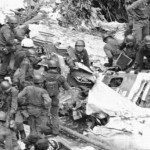 What was the Flight 191 Crash death toll: There were 273 fatalities (258 passengers, 13 crew, two on the ground). You should know: The crash was used to explain the sudden disappearance of one Diana Chorba. She was murdered around the time of Flight 191’s crash and her daughter was told she had been aboard to avert suspicion. Her killer was finally convicted in 2001.